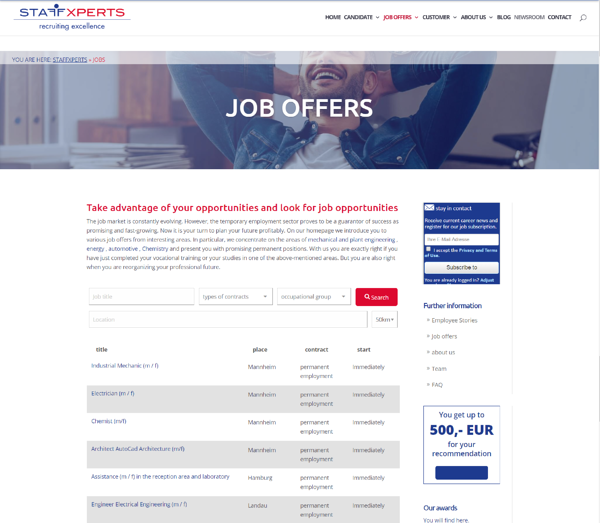 Including employee quotes on your career page helps to build trust and is a more personalized approach to convincing candidates why they should apply. By reading the opinions of potential colleagues, candidates feel like they are able to get an inside perspective on life at your company. For more examples of employee quotes, take a look at Fincon's career page. 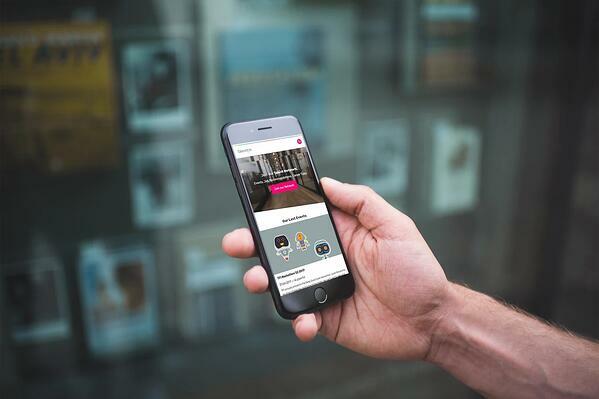 Job ads could be considered the most important content on your career page. These advertisements need to be convincing enough to make potential applicants click the apply button. Not only do they need to highlight the specific position, but they should also include an enticing description of life at your company. Videos are another great way to get personal. There are a wide variety of potential topics that could be covered here such as life at your company, employee testimonials, focusing on a specific department, or highlighting your benefits as an employer. Creating target group specific landing pages with individualized content will allow you to reach candidates on a deeper level. This is a great place to include content meant to convert candidates into applicants. For more inspiration, check out zeb's landing page for university students or Talention's landing page for java developers. If you host events, creating a specific page or section for events can help to draw attention and increase attendance. 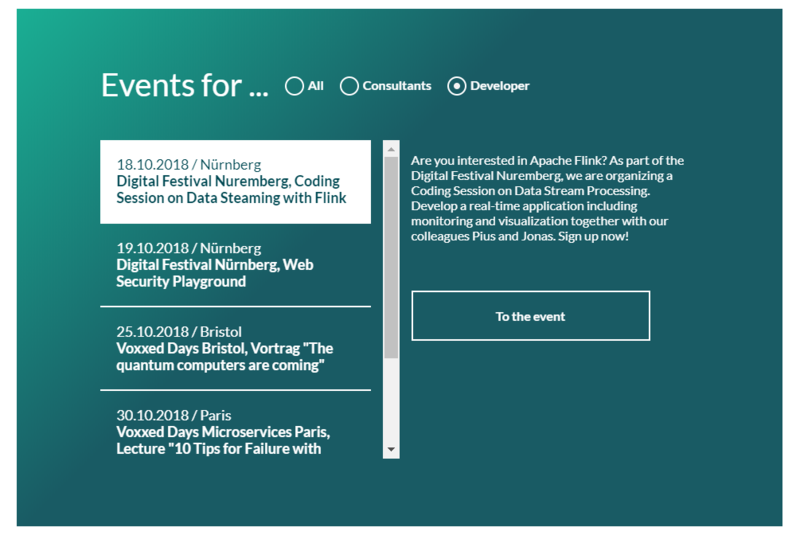 If you have a lot of events to put on the page, try adding a filter to make it easier for candidates to find the relevant events. One vital element of a career page is an overview of all open jobs, with a way to easily filter for relevant positions. For instance, potential applicants are concerned with things such as department, job title, location, type of position (i.e. full-time vs. part-time), and much more. By creating an interactive list that allows the user to filter out irrelevant jobs, they will be able to find a fitting position much faster. The photos on your career page should be specifically selected with your target group or groups in mind. They should feel represented on your page so they can easily see themselves fitting in at your company. By placing icons on your career page that highlight your benefits as an employer, you can summarize your most important points in an eye-catching way. The application process itself is often a deterrent for potential applicants for a variety of reasons. 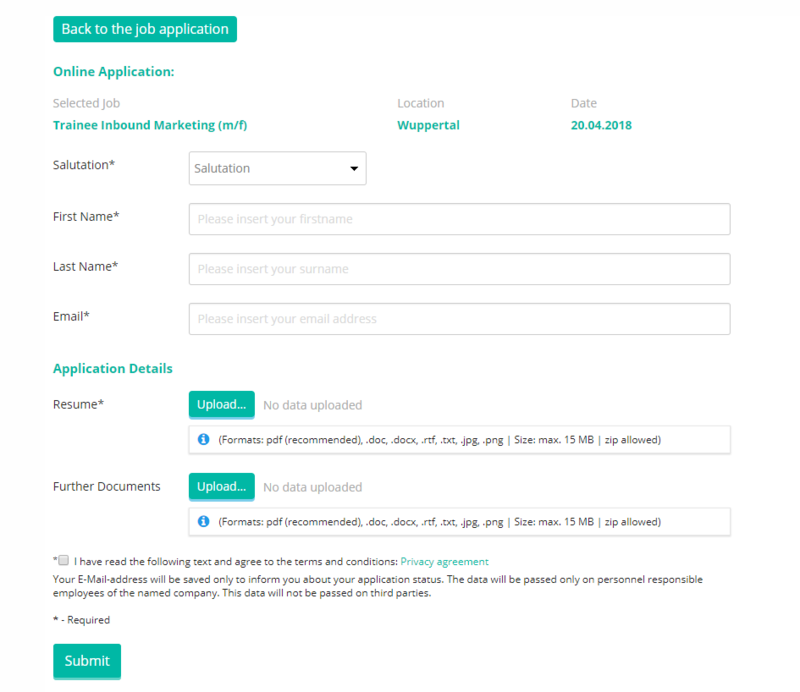 On many career pages, the application page is hard to find, hard to use, and time consuming. Extra care should be taken to make sure that your application process is smooth sailing for candidates. 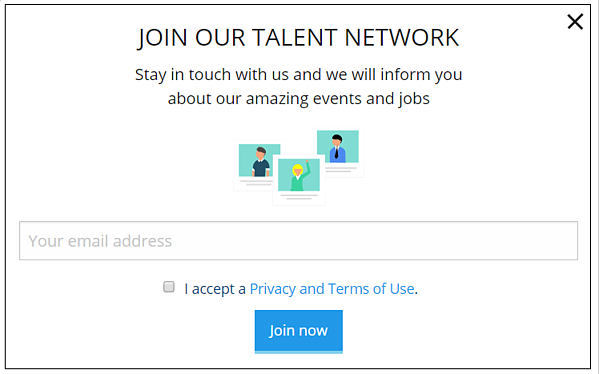 Every career page should include a talent pool, as a way to stay in contact with candidates who do not find a relevant position. The talent pool should be easy to find, easy to understand, and have a simple sign-up process. Many candidates are browsing career pages and job ads on the go, which likely means they are using their cell phone. For this reason, career pages should be optimized for mobile. No matter whether you’re focused on content or design elements, don’t forget to make your page personal. Every piece of your career page should help candidates to better understand your company culture. 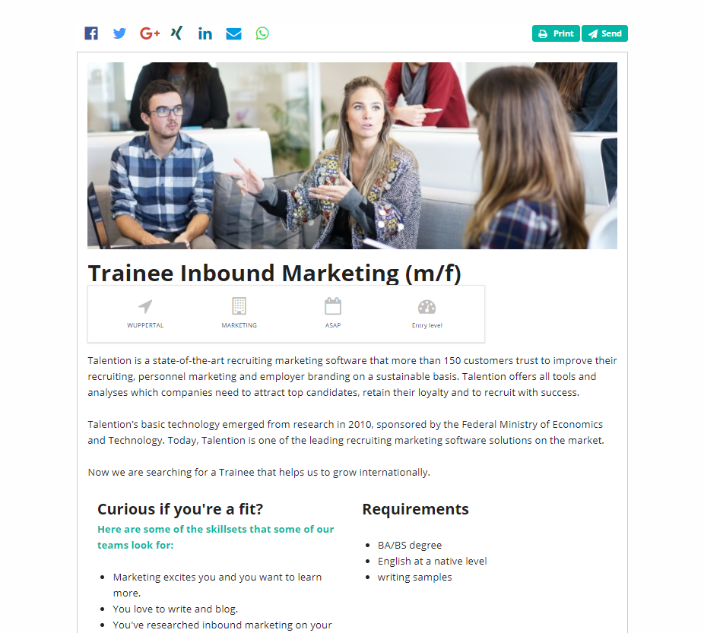 Would you like to see more specific career page examples from your industry? We will gladly show you further best practice examples and concrete implementation in the Talention software. Just ask for a demo here and someone will get in touch with you shortly. Request a demo now.